Volunteering is an excellent opportunity to give back to a cause of your choice. Recently, Arizonans contributed over 174 million hours of service and over $4.5 billion of service, according to the Corporation of National & Community Service. With so many different organizations and service options, it can be difficult to decide on the best fit. Here are a few local volunteer opportunities in Arizona. The following list encompasses a mix of organizations that provide service on a local level. Benevilla started back in 1981 to support the citizens of Sun City by providing them with services not readily available to the community’s residents. Over time, it has grown from a group of 30 volunteers to a group of over 1,000 volunteers and employees catering to extensive support of older adults, children, and adults with disabilities. Volunteers can assist in their Life Enrichment Day Programs focused on comprehensive care, educational services, and social activities. The Arizona Humane Society is an animal shelter offering adoption and veterinary services to local animals in need. For over 60 years, this shelter has been a haven for animals that have faced extreme circumstances such as abandonment and abuse. Volunteers can help in a variety of areas including with administrative services and assisting with the kitten nursery. Volunteers must be at least 16 years-old and should only commit if they can assist for eight hours a month for at least eight months. Valley of the Sun United Way is a large-scale non-profit group with over 90,000 individual donors. They focus on ending hunger and homelessness, helping the local youth, and increasing financial stability in the Valley. For over 90 years, they’ve helped unite and build a stronger community through the efforts of volunteers. Volunteers can help make a difference by joining their philanthropic networking program Generation United or through Destination Graduation to help high school graduation rates. The Christian based Salvation Army has a strong presence in Arizona. Their mission of “Doing the Most Good” is accomplished through volunteer work throughout the Valley. They provide critical needs assistance, youth services, and rehabilitation for hungry and homeless community members. Prospective volunteers can help by setting up fundraising efforts and food drives. St. Mary’s Food Bank Alliance provides over 200,000 meals per day to those in need. They have an array of programs to offer assistance and regularly distribute emergency food boxes to the homeless, elderly, children and working families. Volunteers can assist by packing emergency food boxes, sorting food drive items, and assisting with data entry. Volunteers must be at least 18 years-old if not accompanied by an adult. André House has provided services to the homeless population in Phoenix since 1984. The organization runs on the efforts of seven members along with 10,000 annual volunteer shifts. They serve between 500-750 meals each week in addition to clothing, education, and housing services. Volunteers at least 14 years-old can help with food preparation, dish washing, food service, sorting clothes, and making donations. Child Crisis Arizona is the Valley’s only emergency children’s shelter. They have a location in downtown Phoenix and Mesa and house children from birth to age eight. Children are placed by the Department of Child Safety or by families unable to provide care. Children receive health and dental care in addition to social, behavioral and educational support. Volunteers must be at least 16 and complete an orientation, application, interview, and training prior to getting started. If approved, volunteers can assist on site at the shelters with day-to-day tasks, activities, and educational instruction. This shelter is only for serious volunteers, as they require a one-year commitment. The Community Food Bank of Southern Arizona distributes over 63,000 meals per day to those in need of food. They cover a 23,000 square-mile region and assist over 225,000 people per year. Those looking to get involved need to fill out an online application. They can provide services throughout the year by packing food boxes, working in gardens, and cleaning and distributing food. Habitat for Humanity aims to enrich communities by building homes for families and individuals in need. They have operations throughout Arizona and have been building up communities from Tucson to Flagstaff. Volunteers can register online to provide their services. Habitat for Humanity needs help in home construction, renovation and repair. Widely regarded as one of the best hospitals in the country, Mayo Clinic benefits from over 70,000 volunteer hours each year. Volunteers can help patients feel more comfortable throughout their stay at the hospital. They support staff with day-to-day operations and ensure individual attention to patients. Volunteers must be at least 18 years-old and able to commit four or more hours per week. Phoenix Children’s Hospital provides inpatient, outpatient, trauma and emergency care with over 1,000 pediatric specialists. Their hospital relies on volunteers to help provide hope and healing to children. Community volunteers also support the hospital by participating in events around the city. Volunteers must be at least 16 years-old and attend a volunteer info session. Established in 1973, Casa de los Niños is one of the oldest crisis nurseries in the United States. They aim to address the needs of at-risk children and their families in order to increase their safety and quality of life. Volunteers must be at least 16 years-old and able to commit to at least one shift per week for six or more months. Volunteer work includes building maintenance, child care, tutor, social work and more. Make-A-Wish Arizona granted 365 wishes in fiscal 2016—an Arizona record. Their mission is to grant the wish of children with life-threatening medical conditions and hope to enrich their lives with hope, strength, and joy. Volunteers must be at least 18 and need to attend a volunteer info session. As a wish granter, volunteers work in teams of two or three with staff to assist in making the child’s dream come true. 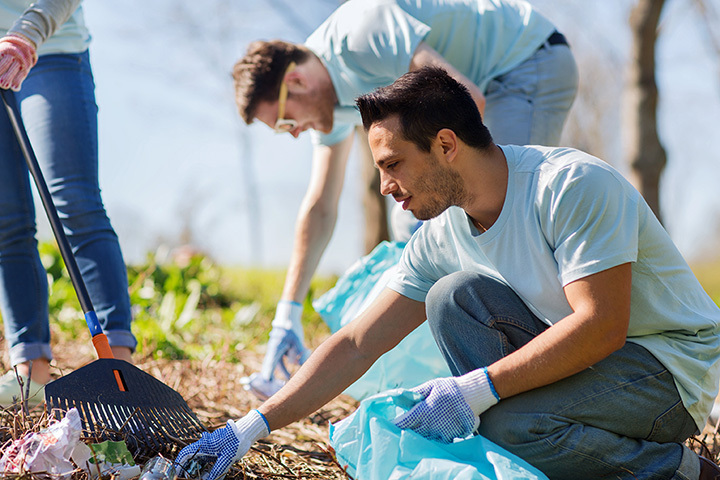 Nature lovers can help out on a micro level by volunteering with the Nature Conservancy. The Conservancy has helped protect over 1.5 million acres across 12 preserves in Arizona. Volunteers can help to expand their reach while working to restore natural land and important waterways in the state. Opportunities vary by location in the state and can be found on their website. Hospice of the Valley is a community-based hospice serving Maricopa and Pinal County. This non-profit has many volunteer opportunities including patient companion, bereavement support, and facilitating support groups for children, teens, and adults. Volunteers have varied training requirements dependent on roles and must complete 24 hours of orientation training.